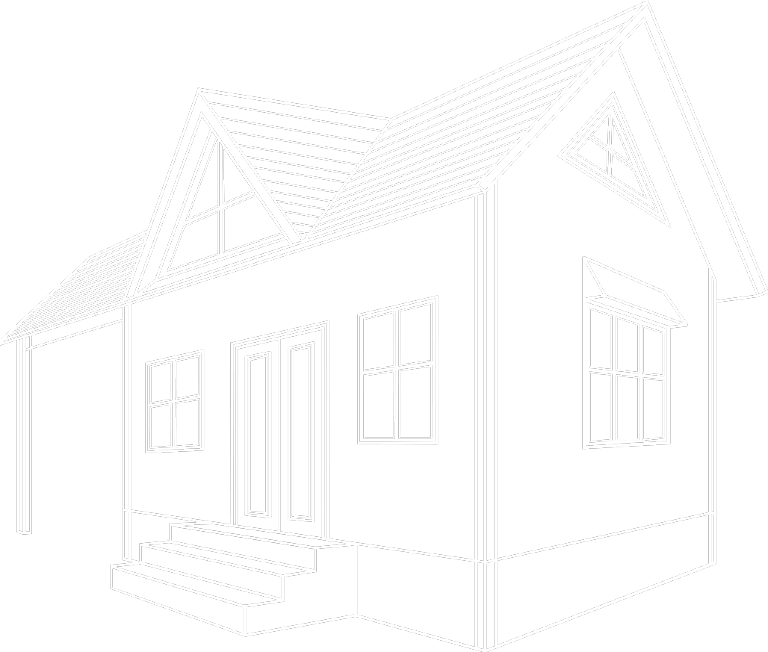 When DBS was approached by Mighty Small Homes in early 2016, there was no brand, website, or marketing strategy. There was only a clear vision of a new business and an underserved market. As a startup company, the entrepreneurs needed help developing a digital strategy to reach their market and drive leads. They needed to drive awareness in the niche small and tiny home community. The entrepreneurs knew exactly where they wanted their company to go, but they needed a direct digital marketing plan to take them there. 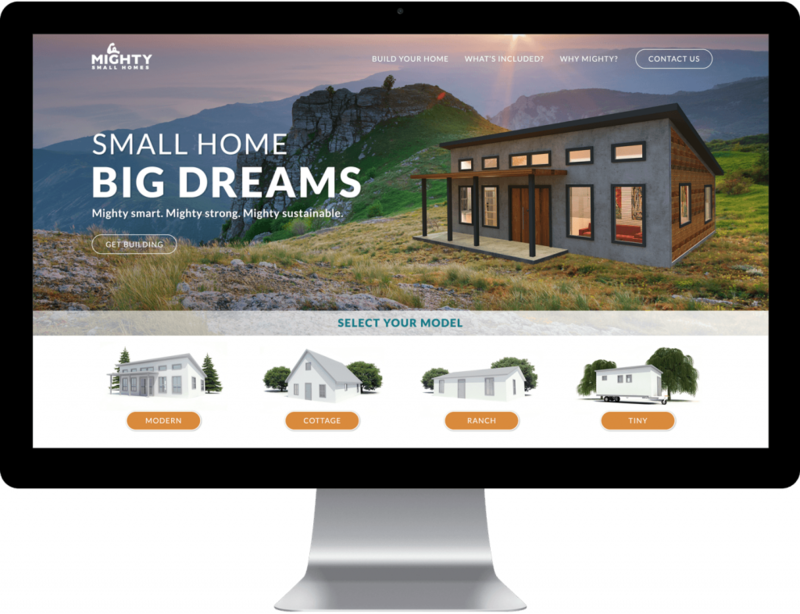 DBS Interactive created the Mighty Small Homes brand from the ground up, starting with the company name and logo. Alongside that, we conducted thorough market research to determine how key competitors approached digital, and how we could outflank them. 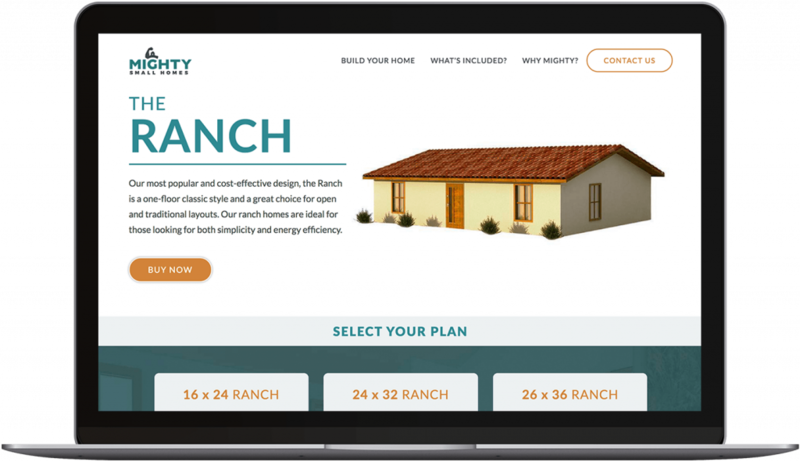 With brand and research in hand, we built a gorgeous website designed to showcase both the Mighty Small Homes product and the lifestyle change the product offers. 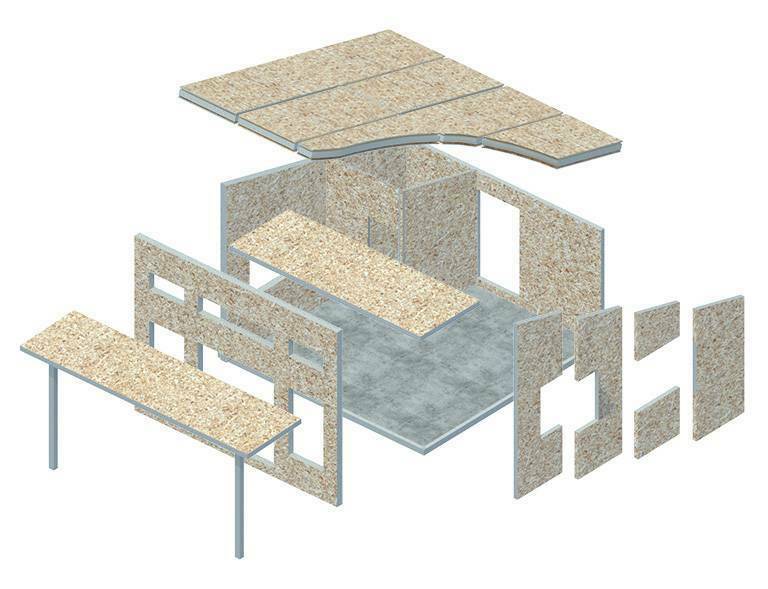 Digital renders and custom animations put the product at the forefront. A highly customized megamenu and tailored calls to action create clear user pathways that drive conversions, and the decoupled content management system (CMS) strikes a balance between speed and administrative friendliness. Since launch, DBS has been moving forward with content marketing, social media marketing, and paid advertisement management to continue to build brand awareness and drive leads. Since launch, Mighty Small Homes continues to create buzz both locally and in the small home community. The thoughtful navigation and quick load time result in extremely strong behavior metrics for site visitors, and the site has won a number of well-known web design awards.